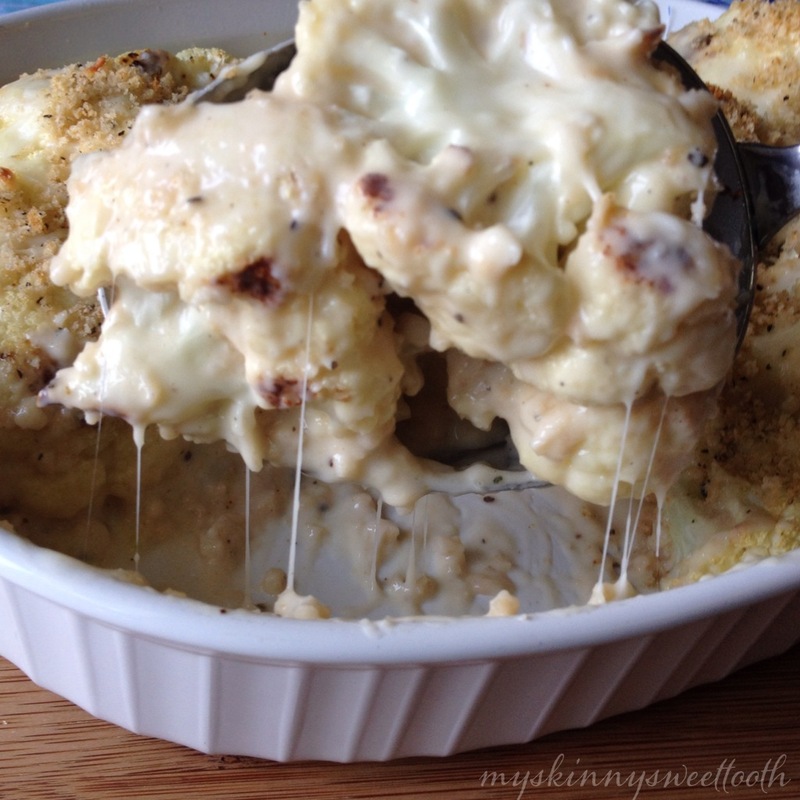 This is another recipe that came on a whim. I knew my intentions for how it would come out, but I had originally bought a head of cauliflower to make my skinny general tso this week. 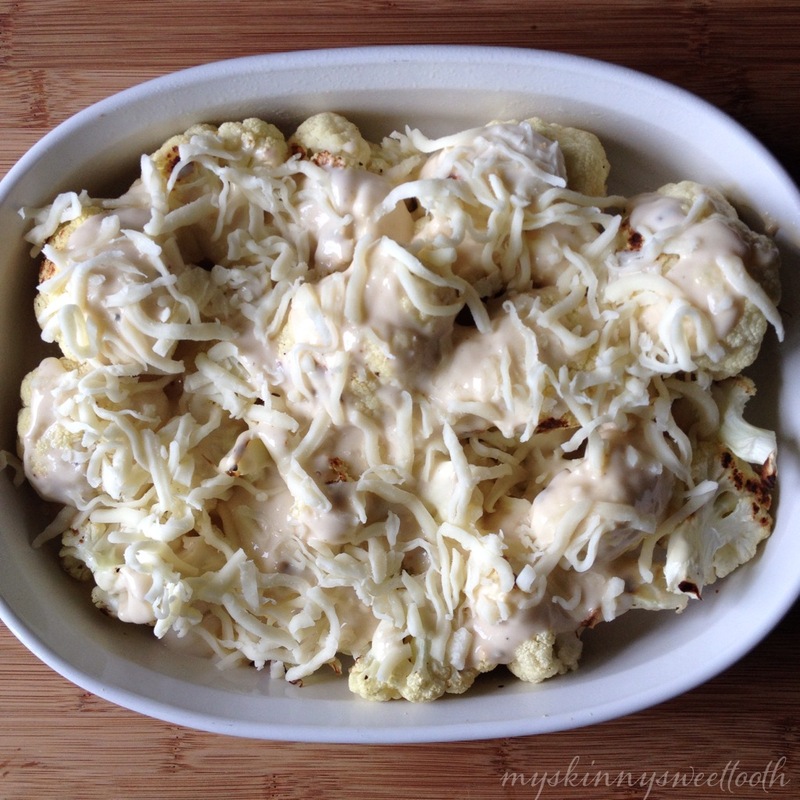 Well, that was until my husband saw the cauliflower waiting patiently in the fridge and was really wanting to try my recipe. (He works night shift, so he hadn’t tried my general tso yet. Our eating schedules are off … and quite frankly, he likes his meat: chicken, beef, you name it) So I was really excited that he wanted me to save it for this weekend. Awesome! 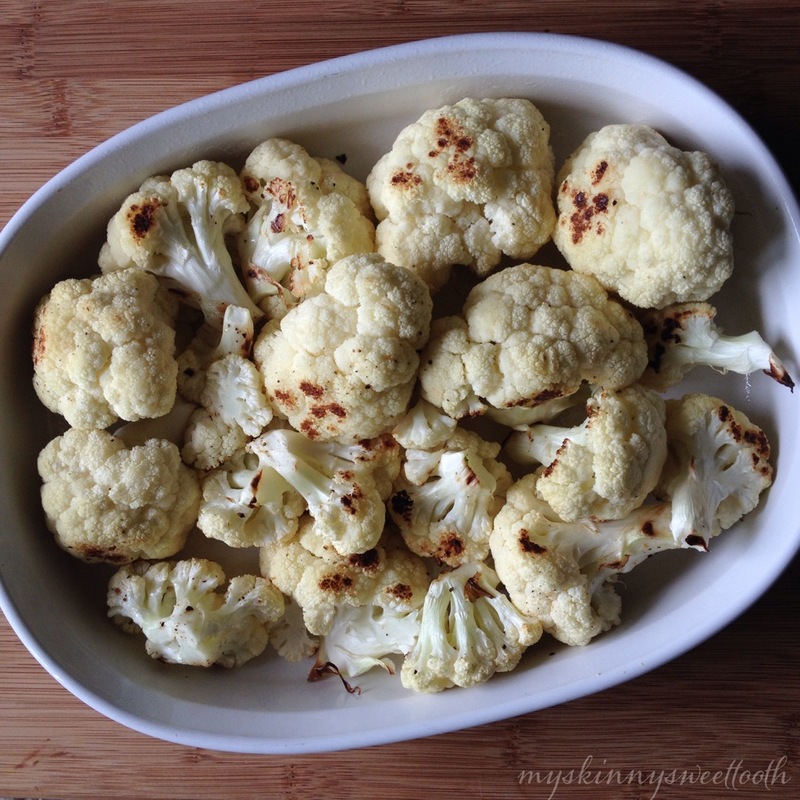 Instead of having the cauliflower sit in the fridge all week, I decided to roast it up. I also had a 1/2 empty jar of light alfredo sauce that needed used, so that started the wheels to turn and eventually I came up with this. 🙂 It’s garlicky, cheesy, and I’m very happy with how the gratin turned out. 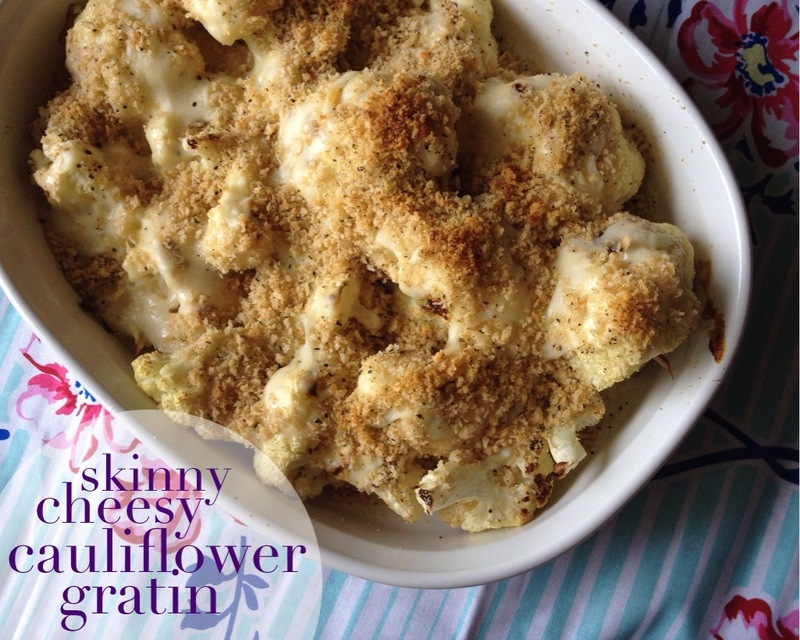 It would make a great side dish or even a vegetarian main dish. The portions are a hefty size (which I love 😛 ) but feel free to adjust serving sizes to accommodate you and/or your family. ⋅In a skillet on medium heat, cook garlic until fragrant (about :30) and add alfredo sauce and cook for an additional 2-3 minutes. 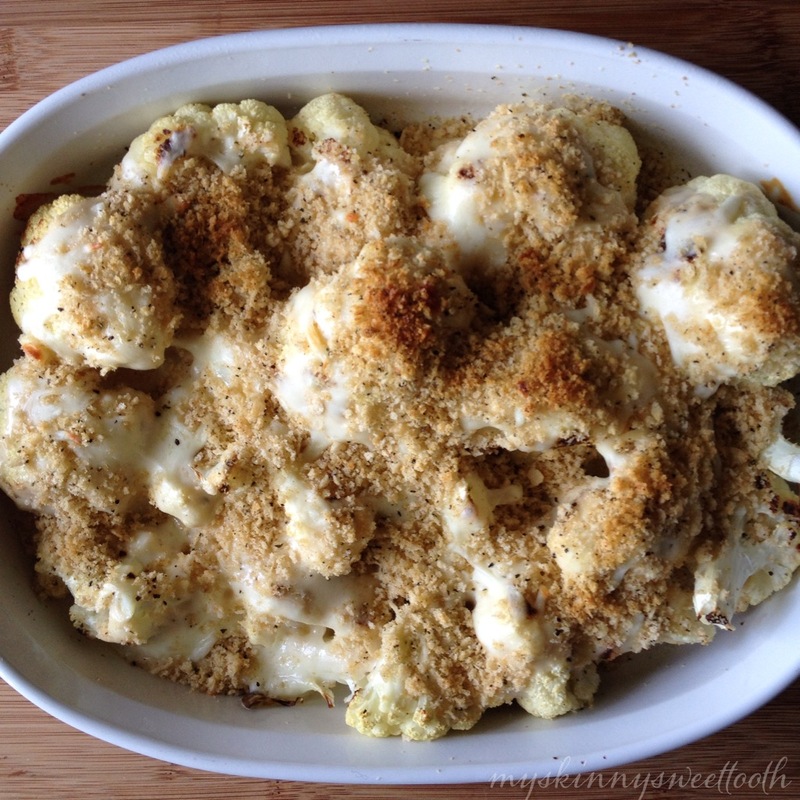 ⋅In a casserole dish or (9×9 baking dish), add the roasted cauliflower. 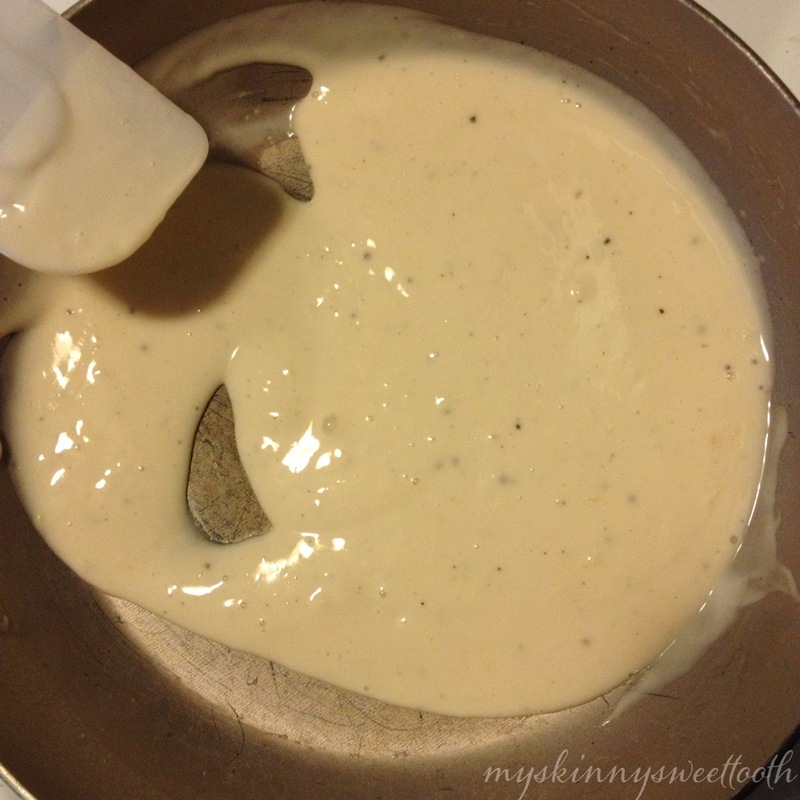 ⋅Pour on the afredo/garlic sauce and top with mozzarella. ⋅Then add the bread crumbs. 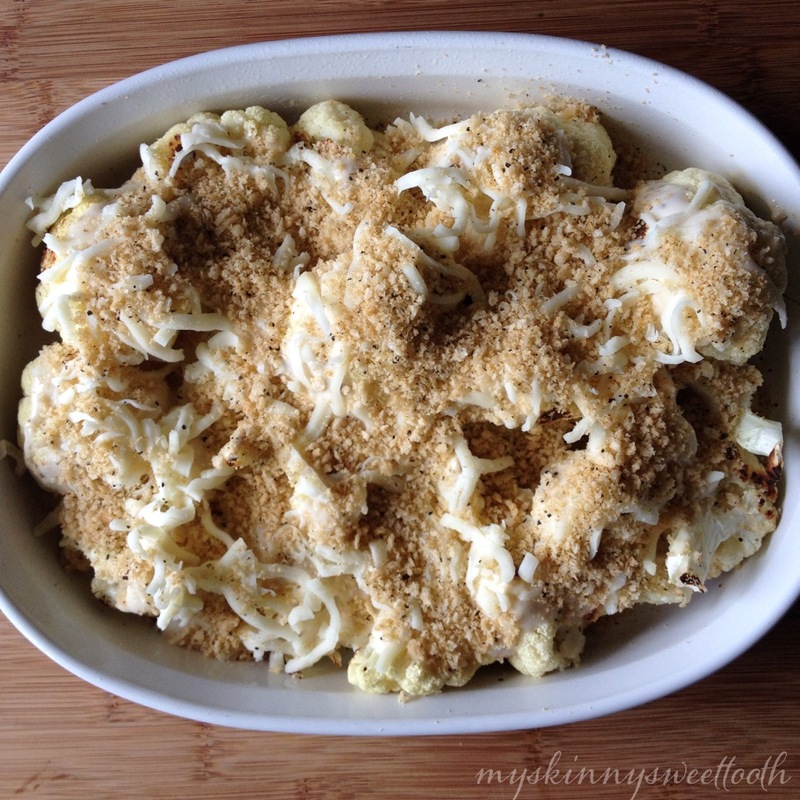 ⋅Bake for 15-20min then broil on high for 2-3min until the bread crumbs are golden brown. Thank you so so so much! 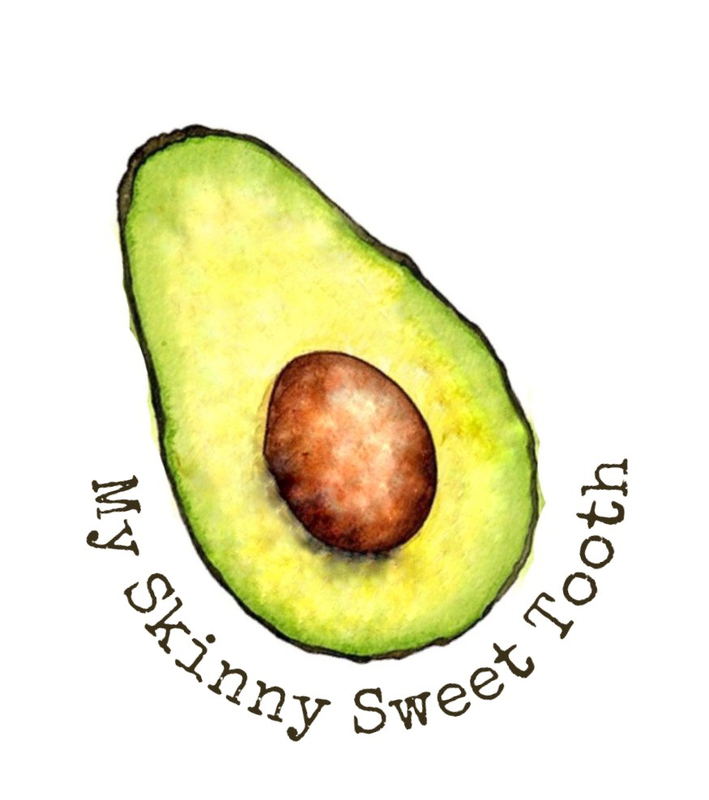 It makes my day knowing how much someone is inspired by the things I enjoy eating and making! So glad to have you along on this journey 🙂 and I’m grateful for your feedback ;). Many thanks, Ann!! oh my! 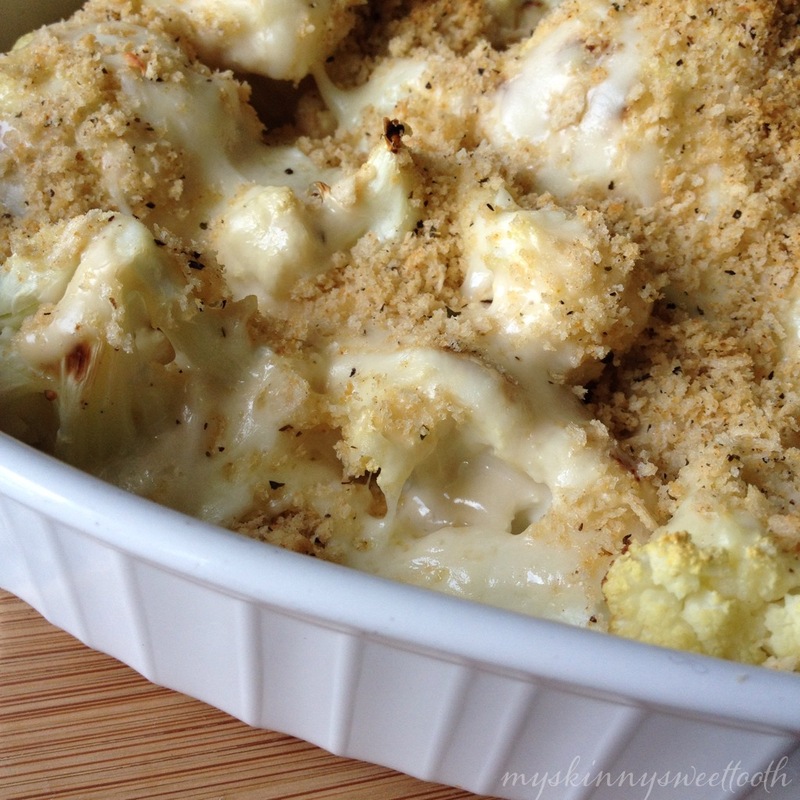 i will have to try this immediately 🙂 There sits a head of cauliflower in my vegetable drawer, as we speak, that desperately needs to merry with cheese and alfredo!! thanks for sharing!